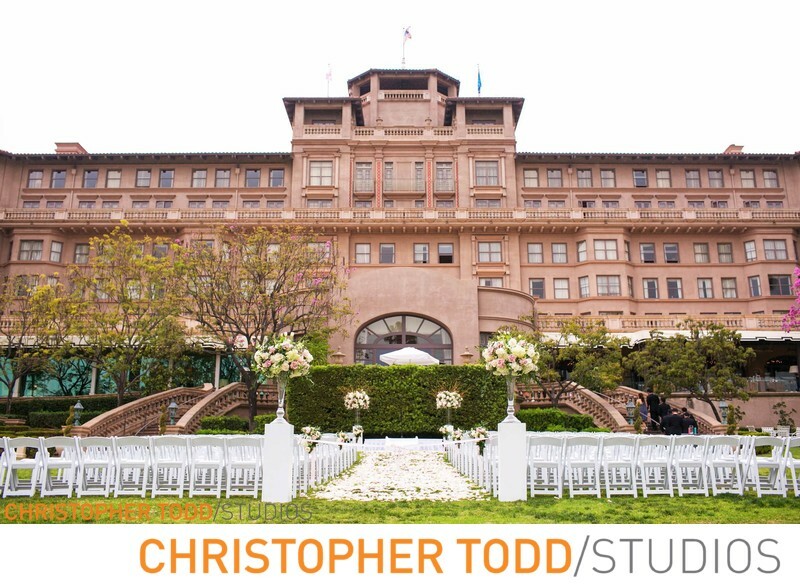 This photo was taken at Langham Huntington Pasadena of the ceremony site with the hotel in the background. The aisle was layered with white rose petals adding a nice touch. 1/500; f/3.2; ISO 250; 35.0 mm.